The people of Vietnam are not easy to describe; their interesting culture has been shaped by thousands and thousands of years of outside influences and civilizations, for example, the native occupants, the French, the Chinese, and most recently, the Russians and Americans. From all of these foreign influences, and centuries of skirmishes, oppression, and hardship, they have formed and shaped their culture to be their own. Socially, the people of Vietnam are hardworking and have strong ties to their family. They are dedicated to the arts, and have made countless contributions to world literature. The Vietnamese are also loyal to many customs and traditions that they obviously take much pride in. Despite the many tragedies in its past, Vietnam has become an extraordinarily productive country in Southeast Asia. Although Vietnam was ripped and torn apart by the war against the Americans in the sixties, Vietnamese are bringing back the country's pride. 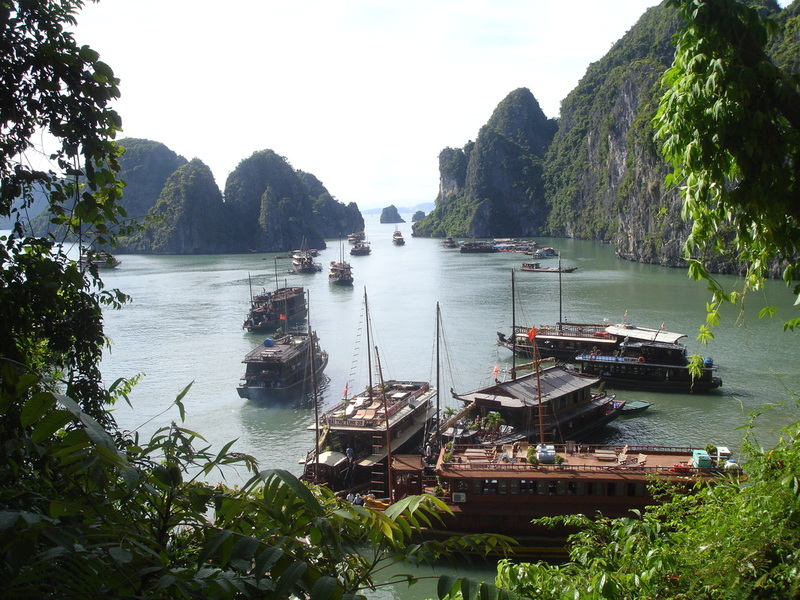 From their rich natural resources, Vietnam's economy has been steadily improving. New jobs are emerging due to the strict economic reforms of the government, thus making Vietnam a country that houses the world’s highest quantity and quality of workers. Hotel accommodations and services are excellent, while restaurants have a wide variety of unique cuisine. Additionally, Vietnam has beautifully designed temples and many other beautiful sites. These are a few reasons why a trip to Vietnam would be memorable and worthwhile! The S-shaped Vietnam is located in the southeastern part of the Indochinese peninsula and occupies about 331,688 square kilometers. 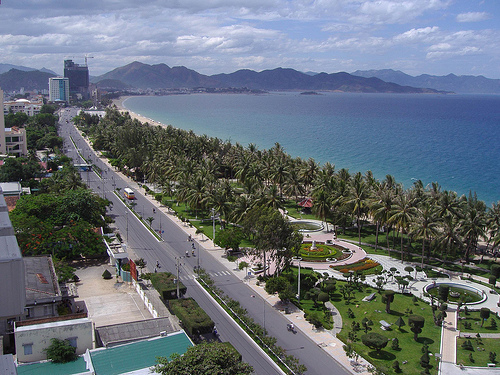 Vietnam spans a distance of 1,650 kilometers from the most northern point of the country to most southern point of the county, and is about 50 kilometers through its narrowest width. With a coastline of 3,260 kilometers, excluding the islands, Vietnam also lays claim to the 12 nautical miles out from its adjacent coasts. What makes Vietnam such a fascinating country to visit is that the area all around Vietnam is surrounded by lovely mountains and exquisite coastal views. The Vietnamese are descendants of the nomadic Mongols of China, and migrants from early tribes of Indonesia. According to myths, Vietnam’s first ruler was Hung Vuong, who discovered the nation in 2879 B.C. After two thousand years of aboriginal rule, China named Vietnam a vassal state in 111 B.C. until the 15th century, then known as “Nam Viet”. A time of Chinese patriotic expansion, this is when Cambodians were forced out of the southern area of what is now commonly known as Vietnam. After a century of Chinese rule, the Portuguese were among the first Europeans to invade the area. France began its influence on the country in the early 19th century and within 80 years of struggle, it conquered the three areas into which the country was eventually divided—Cochin in the south, Annam in the middle region, and Tonkin on the north. 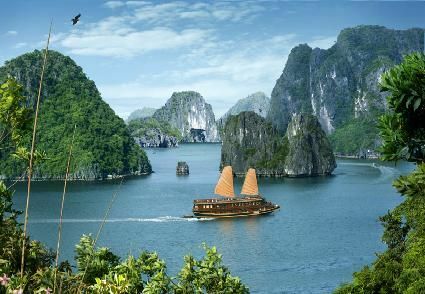 Due to this rich history and diverse culture, many travelers are now interested in traveling to Vietnam. 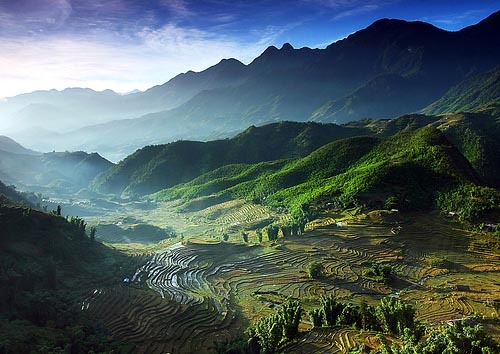 Vietnam has long been a tourist attraction mainly due to the country’s old temples and rich ecosystems. Today, even more tourists flock to this country to view the attractive sites that many weathered travelers have been talking about for a long time: the exquisite mountains, the lovely beaches and the unique architecture of buildings in the major cities of Hanoi, Hue, Danang, Ho Chi Minh, Nha Trang, and Dalat. Also, this country has traditional villages that are truly an eye-opening experience. 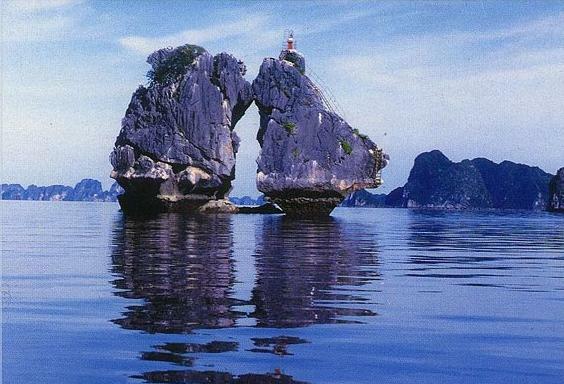 When you go to Vietnam, you can be sure that you will have a trip that you will never forget. Sightseeing in this country will definitely make your vacation satisfying and complete. Life after dusk in Vietnam is fun and exciting, as there are many interesting places to go at night. A country full of vivacity and cheerfulness, Vietnam is guaranteed to be a place for night party goers and you can be sure that you will have enjoyable nighttime adventures. With the country's amazing mix of traditions and modern lifestyle, there is an absolute fun-filled nightlife in Vietnam. In addition, compared to other developing countries, nightlife in Vietnam is relatively safe. That is why many foreigners frequently go to Vietnam's various karaoke bars, pubs, and clubs. These frequent foreign visitors almost always seem to have a smile on their face due to the satisfying nighttime activities. Vietnam has four major religions and philosophies that shape the spiritual life of the Vietnamese people; the main religions practiced are Buddhism, Taoism, Confucianism, and Christianity. For centuries, these philosophies have been formed and shaped along with the famous Chinese beliefs and the old Vietnamese animism, known as Tam Giao, or what the Vietnamese call “The Triple Religion”. While the official language of the country is Kinh, other dialects and languages are spoken by different subsets of minorities. For example, Khmer and Lao dialects are spoken in some regions, while other larger dialects such as Mandarin, Cantonese, Russian, French, and English are spoken in areas throughout the country. With many influences from Western and larger Asian countries, Vietnam's culture is indeed a fascinating thing to witness. The cuisine of Vietnam is varied. There are almost 500 varieties of traditional dishes that include exotic fish and native meats where most of these meats come from rare animals that are also served in commercial restaurants. If you are traveling in the provinces of Vietnam, it is prudent to have these meats cooked by a professional. Cuisine also includes fantastic vegetarian creations that are often prepared to duplicate the fish and meat dishes. The staple of Vietnamese food is plain white rice, dressed up with vegetables, fish, meat, spices, and sauces. Spring-rolled noodles and steamed rice dumplings are famous snacks. These interesting mixtures of vegetarian and meat inspired dishes keep Vietnamese food fresh, unique, and tasty.